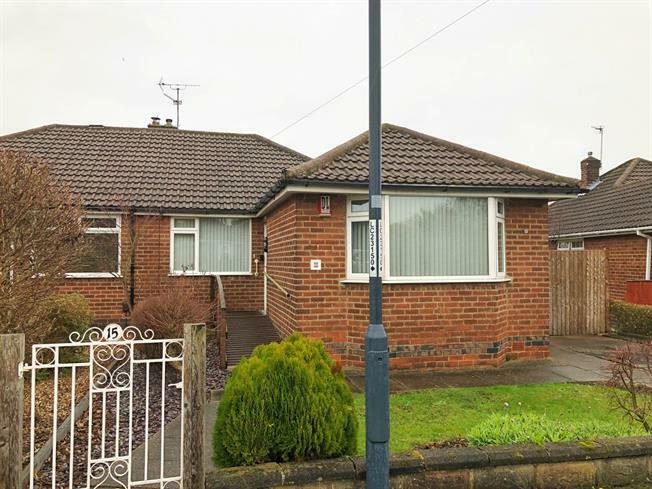 2 Bedroom Semi Detached House For Sale in Derby for Asking Price £160,000. This two bedroom bungalow, which sits on a quiet cul de sac, boasts good size rooms, double glazing, gas central heating, conservatory and driveway. Being to a good standard throughout, the accommodation comprises of entrance hall, lounge/diner, spacious kitchen leading to the conservatory and two good size bedrooms. There is also a modern shower room with a walk in shower. Outside to the front is a walled front garden with lawn and driveway. To the rear is an enclosed garden with a lawn and established boundaries. UPVC double glazed door, radiator and doors off to lounge diner, both bedrooms, shower room, WC and kitchen. Double glazed uPVC windows facing the front and rear. Radiator and gas fire, coving. Double glazed uPVC window facing the side. Radiator, tiled flooring, part tiled walls. Roll edge work surface, wall, base and breakfast bar units, one and a half bowl sink with mixer tap and drainer, space for freestanding gas cooker, recycle extractor, space for dishwasher, space for fridge/freezer. UPVC French double glazed door to the garden. Double glazed uPVC windows facing the rear and side. Double glazed uPVC window facing the side. Radiator, sliding door wardrobe. Double glazed uPVC window with opaque glass facing the side. Heated towel rail, tiled walls. Double enclosure shower, vanity unit wash hand basin, extractor fan. Single glazed wood window with opaque glass facing the side. Radiator, tiled walls. Standard WC. To the front there is a garden and driveway providing off street parking. To the rear there is an enclosed garden with paved patio and lawn.